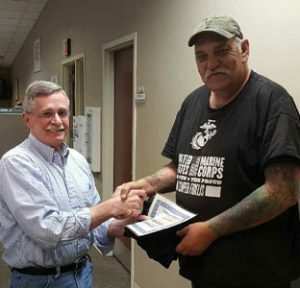 The February Contractor of the Month is Robert Wilson. Robert became a truck driver so he could see the country and to have the freedom of not having a boss right there with you. Robert says be aware of your surroundings while driving and use your best judgement when it comes to winter weather. His DSM, Ken says Robert is an excellent driver and is always willing to help out when ever possible.